Growing up, I had orange juice with every breakfast. It was a treat - a little pricy, but delicious, and healthy. It instilled in me the importance of Vitamin C in my life. It used to be only something I only thought about drinking, but now I know it's something that's also good to put on my skin! 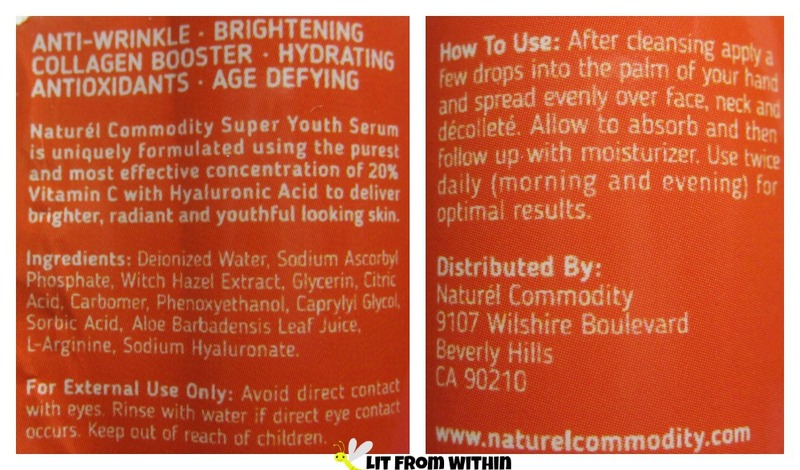 This Vitamin C Super Youth Serum from Naturel Commodity has three of my favorite skin-loving ingredients: Vitamin C (20%), Hyaluronic Acid (11%) and Aloe Vera. They are a powerhouse trio, helping skin to tighten, brighten, plump, and heal. This serum is plant-based, and contains no sulfates, parabens, alcohols, or GMOs. 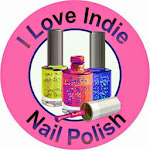 It's made in the USA and is cruelty-free. 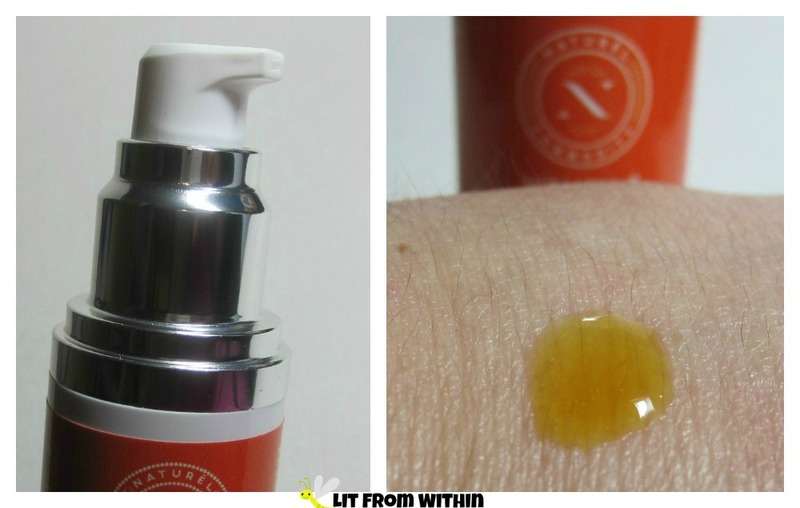 The serum is very thin in texture, and has an orange color, but doesn't stain the skin. It absorbs quickly and completely, with no residue. It's perfect for my morning routine when I have layers of things to put on my skin, and don't feel like waiting for them to dry. I also really love the packaging. My favorite for serums, hands-down, is the pump, and the airless pump is perfect for keeping my serums as effective as possible for as long as possible. Keeping skincare away from heat, light, and air is crucial for keeping the power of the ingredients, and protecting it from contamination. I would totally recommend this serum to anyone looking for a Vitamin C serum. There's only one thing that keeps me from totally enjoying it myself - the scent. I usually prefer my Vitamin C serums to have an orange scent - and I was really expecting this one to have that scent - especially because the color is so prevalent in the packaging and the serum itself. I'm not sure what this serum smells like. My husband thinks it smells vaguely fruity. I think it smells like Chinese Duck Sauce. It's not strong, but it does linger long enough that I get hungry for egg rolls. Naturel-inspired nailart! The orange base is China Glaze Pop The Trunk, and I used a white striper to create the logo and the bulls-eye detail. I'm pretty sure I'm weird, though, so if you want to try this serum and see for yourself what it smells like, Naturel Commodity offers a 90-day, 100% money-back guarantee. You don't even have to return the bottle. For more information, or to purchase, you can find their Vitamin C Super Youth Serum on Amazon, where it currently retails for $29.77.